Many international cruise passengers rate Boutique Tours experience as ‘The Best of the Cruise’! Just 15 miles from where your cruise ship docks in Liverpool lies the border between England and Celtic Wales. Wales offers you a new and interesting experience with a destination that is full of culture, history, legends, myths and some of the best scenery in Britain! Enjoy touring through stunning valleys and open countryside, surround by hills and witness the 60 different shades of Green! Our tours are famous for taking people to places where the tour buses can’t go and other tour guides don’t even know. We’ll tour you along scenic picturesque roads, some of which are the old drover routes through beautiful rolling countryside. Enjoy a ‘Taste of Wales’ with one of our great lunch stops and return to your cruise ship feeling fulfilled with a magnificent day of discovery. After all, cruise passengers are rating our private tour experiences as ‘The Best of the Cruise‘ on a regular basis! Alternatively, we can design a tailor-made tour to suit exactly what you want to do. If you have your own agenda of attractions and places that you want to see during your shore visit, then we will be happy to accommodate your requests and will gladly tailor-make your day to suit what you want to do. ‘Don’t miss out on one of the best rated private tour experiences of the whole cruise’! As you can imagine, every time a cruise ship calls into Liverpool, our highly acclaimed private tour services are in demand from cruise passengers who aspire for a very exclusive experience and we generally sell out for all dates. If you like what we offer, then our advice is not to wait and let someone else beat you to one of the best days ashore of the whole cruise. Contact us now to make sure you make the most of your visit and discover more with a Boutique Tour of North Wales. 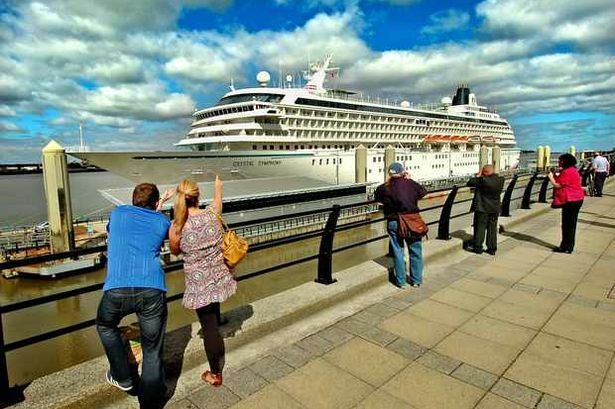 BOOK YOUR LIVERPOOL SHORE EXCURSION NOW! *If your cruise line is not listed, then please contact us to discuss your day ashore.